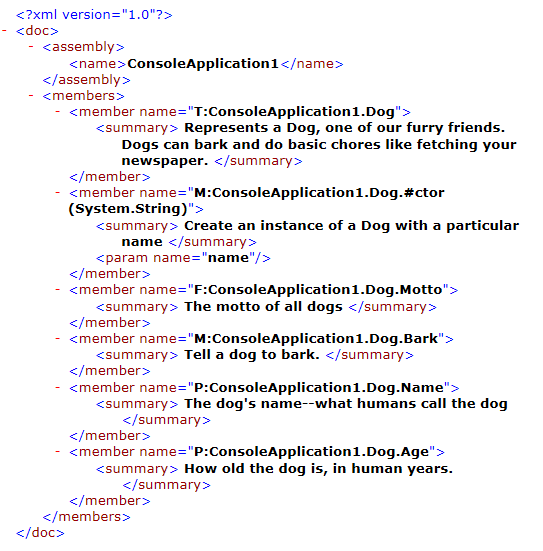 You can use XML Documentation in a class that you author, to provide documentation for the class and its members. If you open the XML file that is generated, you’ll see XML tags containing all of your XML Documentation. You can use this XML file to automatically generate documentation for your class, with a custom tool or a tool like Sandcastle. 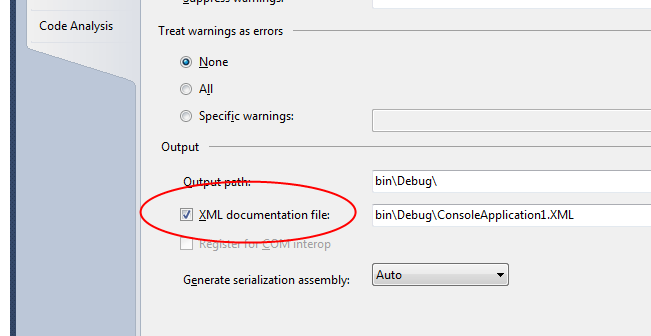 You can also distribute an XML documentation file, along with a binary DLL (e.g. class library). If the XML documentation file is present, code that references the types in the DLL will be able to display the Intellisense for the types in the DLL.